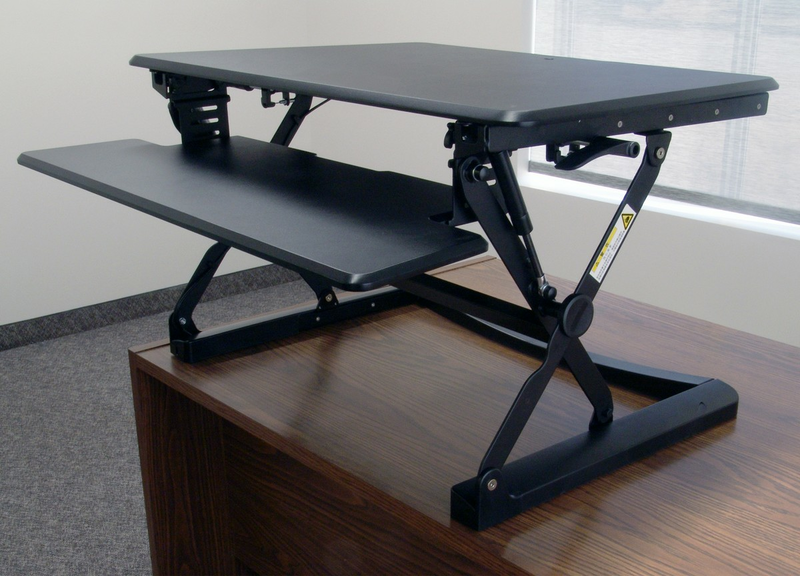 The CASSIOPEIA Desktop Sit-Stand Retrofit from ErgoVerse requires no modifications to an existing desk and can be set up in 5 to 10 minutes. The gas cylinder mechanism makes moving the platform up or down effortless. Since the CASSIOPEIA uses an X-style mechanism, the platform won't cantilever forward at the higher settings but instead moves straight up or down without forcing the user away from the desk when moving to a standing position. The CASSIOPEIA offers 12 keyboard height settings (a seated position 1" above the desk surface - and 11 settings varying from 6.5" - 15" above the desk for standing applications). The worksurface is positioned 5" above any chosen keyboard height setting. 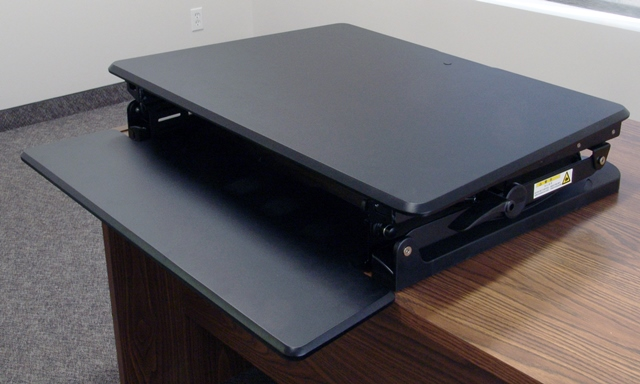 The small footprint on the desk means this sit-stand retrofit unit can work on desks as shallow as 24" deep. Generous amount of fully accessible worksurface. Effortless dual gas lifts provide keyboard tray height adjustment from 1" to 15" above the desk with 11 easily selectable settings between 6.5" and 15"